Manufacturer of a wide range of products which include lab coats, cotton apron, hospital linen, medical apron, scrub suits and nursing dress. 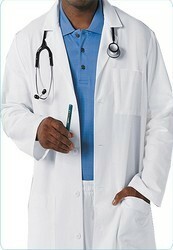 We are most Relevant & Prominent Lab Coat Manufacturers in Bangalore Karnataka India. We have our own in house production unit for manufacturing uniforms products in big & small qty. We supply according to customers specification of uniforms with there logo in there time. We prefer to deal in following cities:Bangalore-Karnataka, Hyderabad- Andhra Pradesh, Chennai- Tamil Nadu, Cochin - Kerela. We prefer to deal in following cities:Bangalore-Karnataka, Hyderabad- Andhra Pradesh, Chennai- Tamil Nadu, Cochin - Kerela. We are most Relevant & Prominent Cotton Approns Manufacturers in Bangalore Karnataka India. We have our own in house production unit for manufacturing uniforms products in big & small qty. We supply according to customers specification of uniforms with there logo in there time. 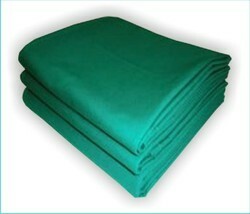 We are most Relevant & Prominent Hospital Linen Manufacturers in Bangalore Karnataka India. We have our own in house production unit for manufacturing uniforms products in big & small qty. We supply according to customers specification of uniforms with there logo in there time. We prefer to deal in following cities:Bangalore-Karnataka, Hyderabad- Andhra Pradesh, Chennai- Tamil Nadu, Cochin - Kerela. We prefer to deal in following cities:Bangalore-Karnataka, Hyderabad- Andhra Pradesh, Chennai- Tamil Nadu, Cochin - Kerela. We are most Relevant & Prominent Medical Approns Manufacturers in Bangalore Karnataka India. We have our own in house production unit for manufacturing uniforms products in big & small qty. We supply according to customers specification of uniforms with there logo in there time. We prefer to deal in following cities:Bangalore-Karnataka, Hyderabad- Andhra Pradesh, Chennai- Tamil Nadu, Cochin - Kerela. We prefer to deal in following cities:Bangalore-Karnataka, Hyderabad- Andhra Pradesh, Chennai- Tamil Nadu, Cochin - Kerela. 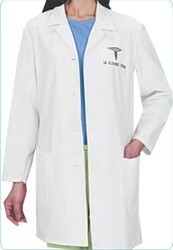 We are most Relevant & Prominent Scrub Suits Manufacturers in Bangalore Karnataka India. We have our own in house production unit for manufacturing uniforms products in big & small qty. We supply according to customers specification of uniforms with there logo in there time. We prefer to deal in following cities:Bangalore-Karnataka, Hyderabad- Andhra Pradesh, Chennai- Tamil Nadu, Cochin - Kerela. We prefer to deal in following cities:Bangalore-Karnataka, Hyderabad- Andhra Pradesh, Chennai- Tamil Nadu, Cochin - Kerela. We are most Relevant & Prominent Hospital Uniforms Manufacturers in Bangalore Karnataka India. We have our own in house production unit for manufacturing uniforms products in big & small qty. We supply according to customers specification of uniforms with there logo in there time. Looking for Hospital Accessories ?